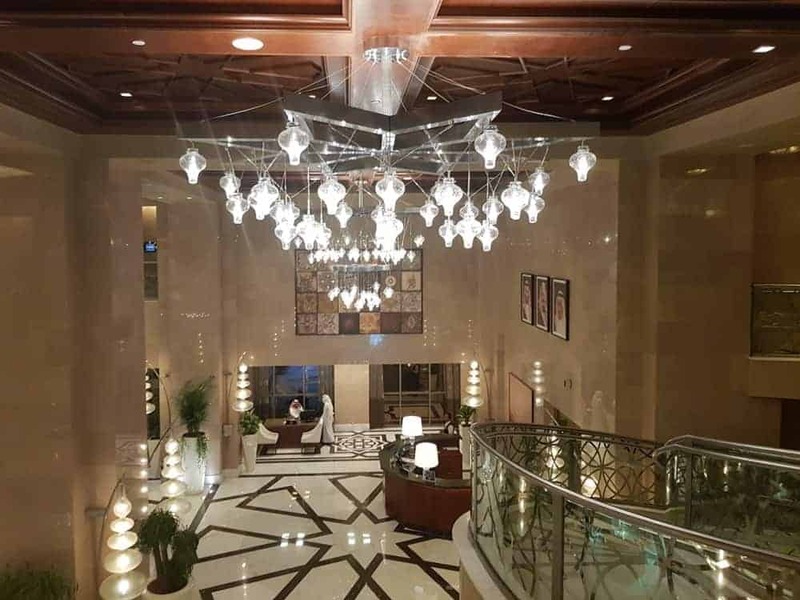 Which is the best Hilton hotel in Makkah for Umrah? Currently, Hilton has three different brands and hotels in Makkah in close proximity all offering different options and price points. So which is the best Hilton hotel in Makkah? I have stayed in all three hotels during an Umrah hotel hop so I can review the hotels and actually have an opinion when people ask me. The Hilton Suites Makkah is the oldest Hilton Property in Makkah at the moment as the Hilton Towers were renamed to Millennium hotel. The hotel is called Suites as they have a small kitchen in the rooms. Also, some of their rooms are bigger to accommodate larger families. Location wise it is in the Jabal Omar Development just behind Intercontinental Makkah and only 5 minutes to one of the Harams gates. You do have to cross the road but during busy times they do close the road so it is safe. It is easy for families and elderly to move from the mosque to the hotel between prayer times. Their breakfast set up was really good and they did have a lot of variety and a few live cooking stations. The hotel doesn’t have a lounge and also it is a little outdated in my opinion. When I stayed there I didn’t enjoy my time and I found the staff not- as helpful as they could have been. Personally, with other hotels in the area, I think this will be my last resort. Having said that friends of mine who have stayed there really enjoyed it and they were always upgraded and their rooms were bright and airy. Our experience wasn’t the same but I would say it was more like 6 or 7 out of 10. You can read more reviews of the hotel here. 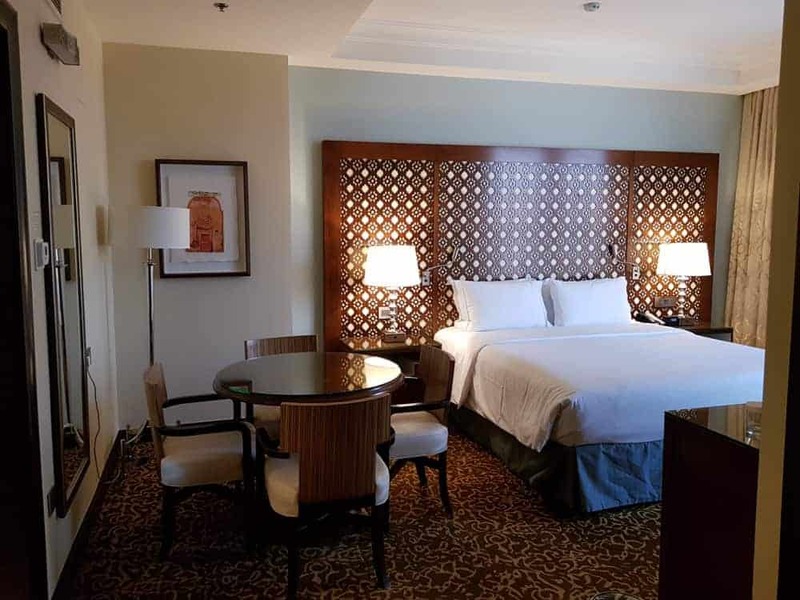 To book the Hilton Suites Makkah and get the status benefits make sure you book via this link on the Hilton page. 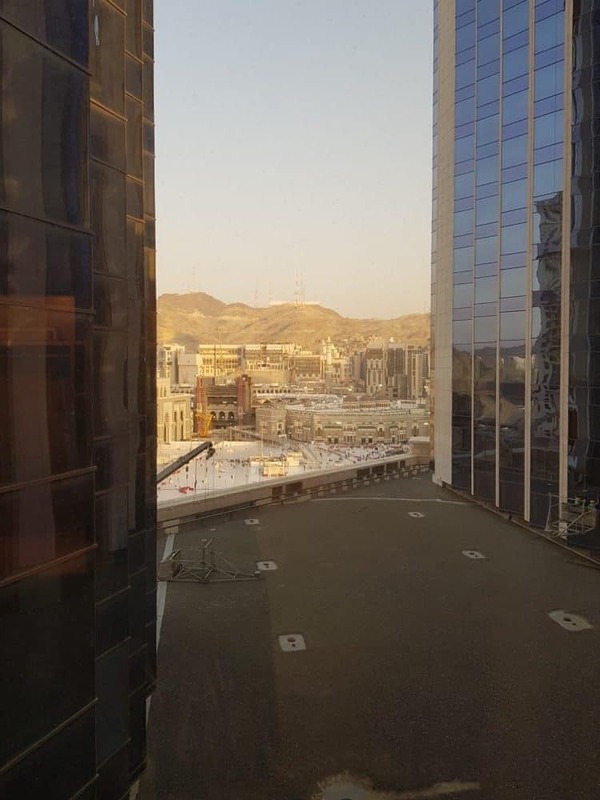 Last time I was in Makkah I stayed in the Conrad Makkah, you can read my review here. I really enjoyed my stay because from the moment we went to the desk to check in and they saw my name they were great. I never share I am a blogger or that I blog most about Umrah but they did see my Diamond status and they did go out of their way to make me comfortable. This level of service was the best I have received in a hotel in Makkah so far, to the same Western standards that you can expect in other parts of the world. The hotel is brand new and lovely, even the reviews I hear from other readers staying in the hotel are good and I hope they don’t slip. 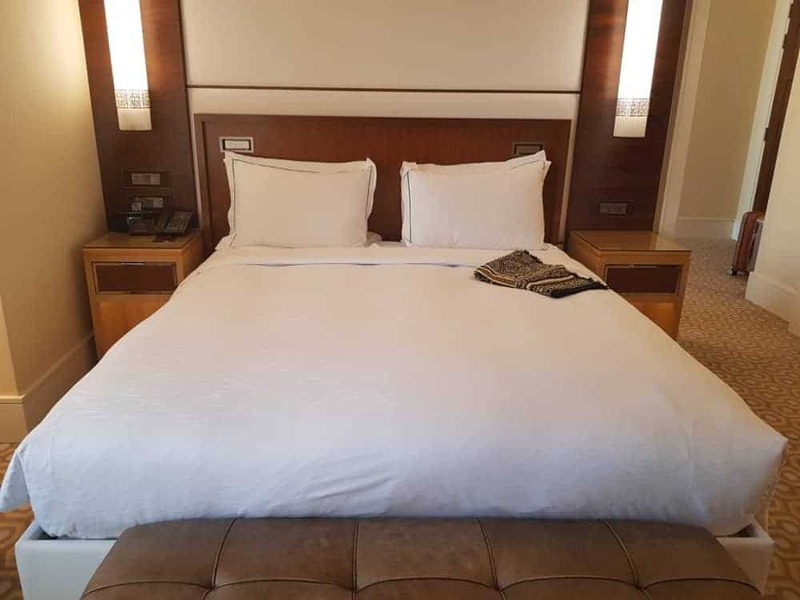 The rooms are spacious, luxurious and some of them have a Haram view, note that there is no Kabah view as the hotel is not that high so it’s not a perfect view. The lounge is a good size, it is located next to the main hotel lobby which gives easy access to the Haram since you don’t have to go several levels to enjoy a drink between prayers. The food offering I find can be improved as I think the one thing lacking this hotel is the lounge food. Hilton Convention has an excellent buffet. They do however offer afternoon tea in the Conrad Makkah. Breakfast was also good in the main restaurant. There was plenty of choices and you had a few live cooking stations. Location wise is it about 3-5 minutes from Haram main entrance and in the Jabal Omar development so you do have to cross the road. I don’t find this particularly difficult, to be honest as it’s an easy walk up. If you want you can also walk inside the mall and exit close to the Hilton Suites especially handy in the summer months. To read more reviews on the Conrad Makkah hotel you can check TripAdvisor here. If you are chasing status or if you already have one make sure to book your Conrad stay via the Hilton website here to count. 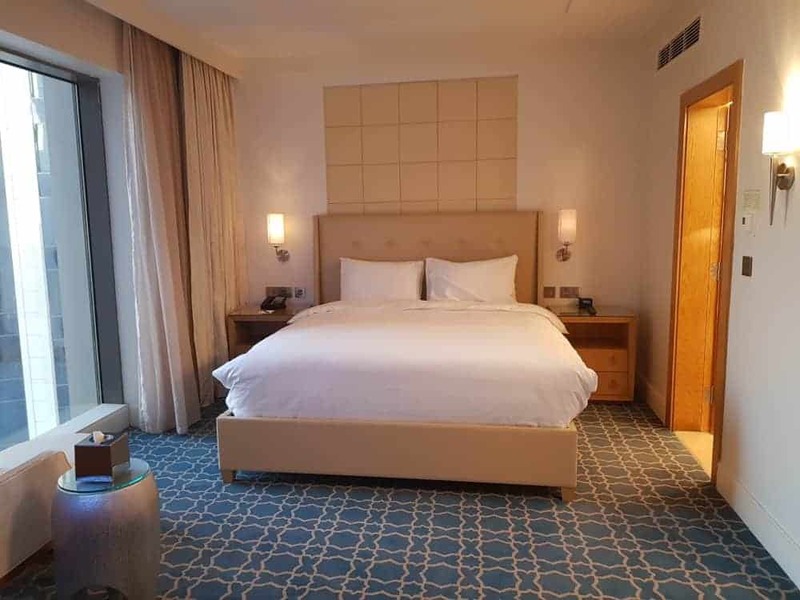 This is also a new property in Makkah by Hilton and it is a massive hotel and convention centre, read the review here. It is also located in the Jabal Omar Development it is just a little further up closer to the Marriott hotel. There is an exit onto the Haram road but it does have somewhat of a steep hill which people can find difficult especially elderly. We didn’t have a problem with the hill as I had heard many complaints about the incline, however for the price they offer their rooms I think it’s a good compromise. They also offer a shuttle bus from the hotel which probably takes longer than by just walking however if with elderly it can be handy. The hotel is new, so their rooms are also news as well as the furniture. When we stayed there we were upgraded to a suite due to my Diamond status which was a nice surprise. What I found however is that although the room was spacious and it could accommodate a family, the work was not finished 100% and it seemed they had rushed the project. Still, I am sure they will fix these minor things in sha Allah. Another thing which I will want to change when I go and it’s not a big deal is the location of my room, the rooms are in a Π set up so you can be seen in but also gives you the best view of Haram. Not an issue if you pull your curtain. The lounge for me is what makes this hotel along with the staff. The lounge is large and they serve cooked food options and a large spread. This is by far the largest I have seen in any Hilton in Makkah even in the old Hilton Makkah hotel. If you are looking to save money and you have a Hilton Gold or Diamond status then this is a great option. For more reviews of the hotel check out TripAdvisor. Book directly the Hilton Convention Makkah hotel with Hilton to take advantage of their points offers and status. In short for me the question is which Hilton should you choose between Conrad and Hilton Convention Makkah. 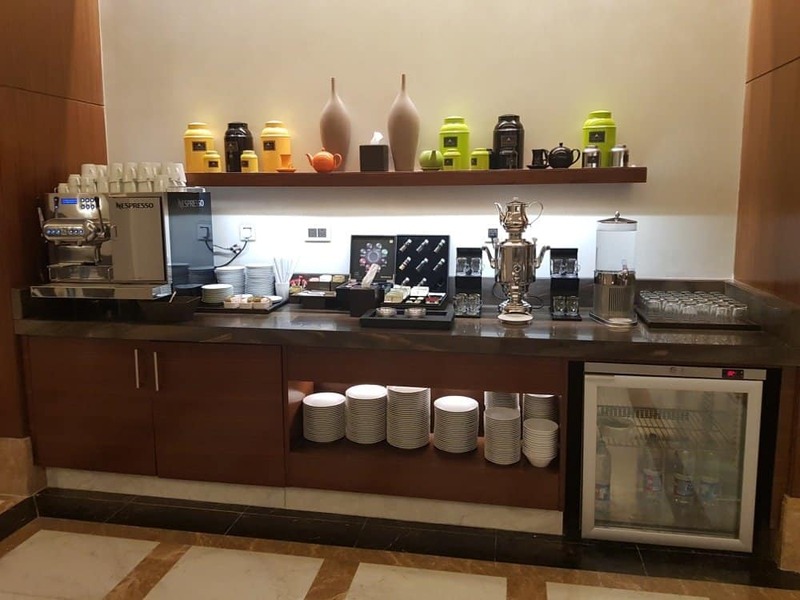 If you want luxury and good service choose the Conrad, if you want something of a mid-tier hotel without compromising on quality or if you want to save money and time in the food course choose the Hilton Convention Makkah. I would happily return to both. I’m a 66yrs male and am planning to go for UMRA in the first week of January Insha Allah. I and my family have got Mujamla Umra visas for 30 days stay. Any experience of this kind of Visas?. Sorry Umrah visa is for 14 days and not sure what the Mujamla visa is. I have done DIY umrah for easter holidays. I have booked going in Pegasus airline and coming back from Madina in Saudia Airline. Agent charging me £45 for visa. Is that reasonable? I have booked millenium towers in Makkah and movenpick in Medina myself thru Agoda. Should I pay the extra for meningitis certificate? Is it even checked? I mean I will get myself and family vaccinated but it is £15 extra per person for certificate? Whats the point if it is not checked? Any advice on bringing back zamzam? We are allowed 23kg x 2 each on way back. Can we bring back extra zamzam. Is the train Makkah to medina running? Shall I book here from uk or where do I go in Makkah to book? I do vaccinate and they do give you the certificate as well i believe ( at least they do with us). With regards to Zam Zam, if all your legs are on one ticket you should get 1 bottle of Zam Zam from the airport each. If it is not on one ticket then you will need to put it in your suitcase so make sure you leave space if your suitcase.